Talking to God may be a little intimidating for some people. He is always willing to listen, and He knows everything that is in your heart—the Bible taught you that. But what happens when you cannot formulate the words you want to tell Him? Or if you don’t know how to start a conversation with Him? Michael Joshua may have an answer to that in his poetry book, Talking with God for No Reason. “This is my ode to God and my own higher power. Written in a poetic fashion, these poems are my life’s reflections when I was still a young man in my twenties,” said the author. The collection of poems will evoke emotions that you may have forgotten because life may have hardened your heart. It will reignite your faith in God, hope for the future, and tranquility from within you. Michael Joshua dedicates all the poems to everyone who is going through life’s tribulations. He wants to inspire people to conquer the hardships of the journey without succumbing to pain and uncertainties. 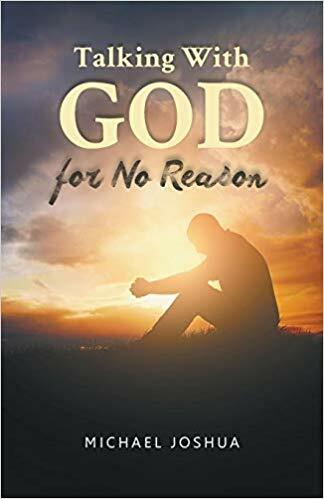 Book copies are available at LitFire Publishing, Amazon, Barnes & Noble, www.talkingwithgodfornoreason.com, and other online book retailers.